PERCo and its products PERCo is a leading Russian manufacturer of security systems and equipment with a 30-year experience. Installations in 88 countries worldwide prove the high quality of PERCo products. Warehouses both in Russia and EU (the Netherlands and Estonia) allow to deliver goods within the short time frames. 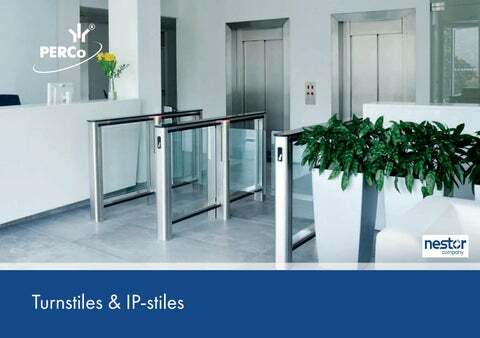 Main product lines: •	Turnstiles, gates and railing systems •	Electromechanical locks •	IP-based entrance control systems •	Access control systems PERCo manufactures a wide range of turnstiles, gates and railings to meet various requirements to design, functionality, size and level of security. Turnstiles, gates and railing systems provide effective means for pedestrian flow control at entrances of production facilities, administrative buildings, company offices, schools, university campuses, stadiums, leisure and fitness facilities, amusement parks and zoos, shopping outlets. Each day 20 000 000 people pass through PERCo turnstiles and IP-Stiles. 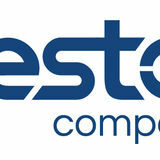 IP-Stiles have an opportunity for direct connection to computer network of the enterprise. Software: IP-Stile can operate both as a standalone system and as a part of multifunctional PERCo-Web system. Free software is included into delivery set.